If you are experiencing a shortage in bacon from your supplier or are being faced with unfair prices - look no further than our bacon factory! The UK media has recently latched onto some kind of bacon frenzy, which a panic over the shortage of bacon resulting in soaring prices. Newspapers such as The Florida Post are even threatening the ‘end of the greasy spoon’! 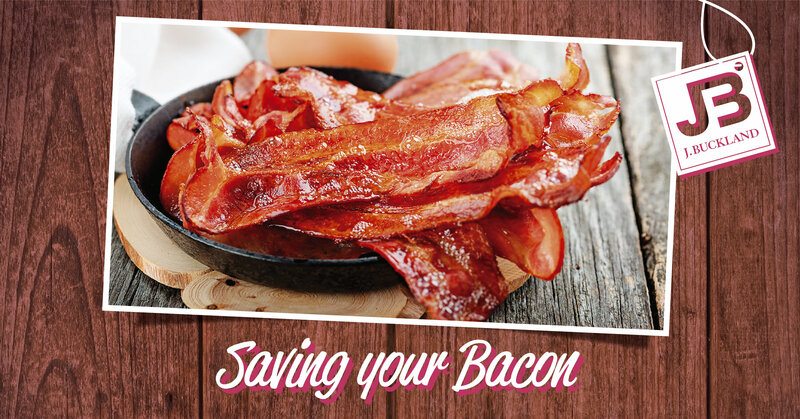 Our customers need not fear the bacon crisis that is hogging the media. There is no denying that there has been a shortage of imported bacon to the UK in recent weeks, and prices may have affected businesses and their consumers. At J. Buckland, we have been on top of these pricing trends on a weekly basis, offering the best value bacon to our customers everywhere. We have a wide selection of wholesale bacon at the fairest prices – including British bacon supplies, Danish bacon and so much more. We serve a range of cafes, restaurants, delis, schools and hotels with our bacon… so there is no need to fear the end of the greasy spoon. Need your bacon tomorrow? We deliver for free next day in our SALSA-accredited vans to butchers, delis and schools throughout Essex, including Leigh-on-Sea, Southend-on-Sea, Romford and Chelmsford so you can keep bringing home the bacon*. Call one of friendly advisors on 01268 966056 or contact us to make an enquiry.